Part of the US Department of State, the Bureau of East Asian and Pacific Affairs (EAP) is responsible for carrying out diplomatic relations with more than two dozen foreign governments, ranging in size from China to Fiji. Security, counter-terrorism and free trade are some of the major policy issues that EAP addresses with public and private officials from this part of the world. In fact, the bureau has played a key role in negotiations with North Korea over that nation’s efforts to develop nuclear weapons. The head of the bureau has been both praised and criticized for his work on the Korean nuclear accord and other aspects of his diplomatic work. The Bureau of East Asian and Pacific Affairs traces its roots back to the very first regional office in the State Department in 1908, when the Division of Far Eastern Affairs was created. In 1949, the State Department established the position of Assistant Secretary of State for Far Eastern Affairs after the Commission on Organization of the Executive Branch of Government recommended that certain offices be upgraded to bureau level and after Congress increased the number of Assistant Secretaries of State from six to 10. On November 1, 1966, the department changed the title of the Assistant Secretary of State for Far Eastern Affairs to the Assistant Secretary for East Asian and Pacific Affairs. Foreign policy in this part of the world has been influenced by some of the most important events and developments in recent history. The rise of Japan as a military power in the 1930s and 1940s led to attempts to conquer everything from China to Australia, before the United States entered the conflict and reversed all of Japan’s imperial gains. Following the end of the war, the US took it upon itself to reshape Japan’s governing system, establishing a capitalist-democratic process that Japan not only accepted but embraced quite successfully. Shortly after the end of WWII, another major development occurred in China. After a decades-long struggle, the Communists, led by Mao Zedong, defeated the pro-Western Nationalist forces, driving Chiang Kai-shek and his supporters off the continent and over to the island of Taiwan. The newly created Peoples Republic of China (PRC) soon allied itself with the Communist Soviet Union, although this alliance soon struggled under the weight of competing ambitions between the two countries. The Chinese government also did not accept the sovereignty of the Nationalist government in Taiwan, claiming the island nation belonged to the rest of China. Taiwan’s resistance to Communist control produced an uneasy, and at times hostile, relationship between the two Chinese governments that has included threats of invasion by mainland forces. In 1950, North Korea invaded South Korea, touching off the first major conflict of the Cold War era between West and East. North Korea, backed by the PRC and the Soviet Union, ultimately fought to a stalemate against South Korea’s allies, led by the United States. The armistice that was signed in 1952 left the Korean peninsula divided between the Communist north and the pro-Western south. The United States has stationed a large military force in South Korea since the end of the war to protect its ally from future attacks from the north. This has included threats involving nuclear weapons, which North Korea has sought since the 1980s. Attempts by the government of Kim II-sung and his son, Kim Jong-il, to build a nuclear arsenal and a battery of long-range missiles capable of striking Japan have produced serious diplomatic problems for the State Department as it has tried to negotiate with North Korea to convince it’s leaders to stop their pursuit of weapons of mass destruction. Beginning in the 1950s, Vietnam became the focal point of another, longer conflict that pitted the West versus the East. First, it was France (which had colonized Vietnam) that tried to quell efforts led by Ho Chi Minh to free Vietnam from colonial rule and unite the country. Ho Chi Minh reached out to the United States in the late 1940s for help in gaining independence from France, but when the US turned its back on the Vietnamese leader, he turned to the Soviet Union for assistance. After driving the French out of Vietnam (in the wake of the battle of Dien Bien Phu), Communist North Vietnam found itself in a prolonged battle with the US, which sought to support South Vietnam and prevent Ho’s Communist forces from taking over all of Vietnam. In the mid 1970s, Indonesia invaded the island of East Timor, which resulted in thousands killed. Indonesia, a pro-US ally, was repeatedly criticized by countries in the United Nations for its actions, while the administration of President Gerald Ford (acting on the guidance of Secretary of State Henry Kissinger) acquiesced to Indonesia’s desire to occupy East Timor. The 1980s were dominated by the rise of Japan as a world economic power. While the US struggled to adjust to changing economic times and the loss of its manufacturing base, Japan’s exports and economic clout made the island nation a formidable leader in the region. The decade also saw the emergence of the so-called “Asian tigers”—which referred to the economies of Hong Kong, Singapore, South Korea and Taiwan. These four countries, following the capitalist model, had developed successful industrialized economies that experienced high rates of growth that carried into the 1990s. This decade, the region has been affected by the continuing standoff over North Korea’s efforts to develop nuclear weapons, and the United States’ aggressive policies to stem threats of terrorist attacks by Islamic militant organizations, such as al Qaeda. The single most traumatic event to hit the region, however, was the tsunami of 2004, which was triggered by a 9.1 earthquake off the coast of Sumatra. More than 225,000 people in 11 countries were killed, with Indonesia, Sri Lanka, India and Thailand the hardest hit. China’s hosting of the 2008 Summer Olympics also represented one of the most important events to take place in the region. The lead-up to the games brought attention to other key issues, such as the Chinese Communist Party’s repressive control of Tibet and its abysmal record on human rights. 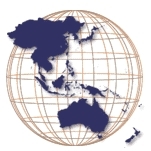 Australia; Brunei; Burma; Cambodia; China; Fiji; Indonesia; Japan; Kiribati. North Korea; South Korea; Laos; Malaysia; Marshall Islands; Micronesia; Mongolia; Nauru; New Zealand; Palau; Papua New Guinea; Philippines; Samoa; Singapore; Solomon Islands; Taiwan; Thailand; Timor-Leste; Tonga; Tuvalu; Vanuatu; and Vietnam. The bureau seeks to sustain and modernize American treaty alliances with Australia, Japan, South Korea, the Philippines and Thailand, as well as to strengthen security partnerships with other close allies, including Singapore. A key part of this will be implementation of “alliance transformation agreements” with South Korea and Japan. Through strengthened multilateral cooperation with regional powers, the State Department seeks to end North Korea’s nuclear and missile programs. The vehicle for this mission is the Six-Party Agreement. Following up on the 2008 Olympics, the bureau says that it will encourage China to act as a “responsible stakeholder” in the international system. To manage cross-Strait tensions following a critical election year in Taiwan, the bureau will encourage dialogue and increasing economic and social integration between Beijing and Taipei. Indonesia, the world’s most populous Muslim-majority country, and the Philippines, a treaty ally and the region’s oldest democracy, are flagships of the United States’ diplomatic efforts. Other majors goals of the bureau include enhancing counterterrorist capabilities (particularly in Southeast Asia) and protecting American citizens. Given the significance of Asian economies to the US economy, the bureau promotes trade liberalization, economic reforms and sustainable development. EAP encourages cooperation against weapons of mass destruction, transnational crime, health and environmental challenges. Recovery from the 2004 tsunami is also a major concern of EAP’s. This includes mitigating threats of disease outbreaks stemming from the four-year-old disaster. In August 2008, Sen. Sam Brownback (R-KS) agreed to stop holding up the nomination of Kathleen Stephens as the next ambassador to South Korea after the head of the State Department’s East Asian and Pacific Bureau publicly scolded North Korea’s human rights record. Stephens was serving in the bureau, as deputy assistant secretary of state responsible for managing US ties with Japan and Korea, when she was nominated by President George W. Bush to be America’s enjoy to South Korea. Brownback had held up Stephens’ nomination over concerns that the Bush administration was overlooking human rights abuses as it pushed ahead with a multilateral effort to get North Korea to abandon its nuclear weapons program. Brownback said he had stopped obstructing Stephen’s nomination after Chris Hill, the bureau’s top official, denounced North Korea’s human rights record and pledged to exhort Pyongyang to improve it. “I think North Korea’s human rights record is abysmal,” Hill told a Senate committee, adding that the prison camp system in particular was a “scar” on the Korean peninsula. The hold up on the Stephens nomination threatened to become an embarrassment for President Bush, who was scheduled to travel to South Korea in August as part of his trip to Asia and the Summer Olympics. Furthermore, Hill caused a stir by paying respects at a memorial for thousands of civilians who were fired upon by the then-military government of South Korea in a 1980 massacre. Many Koreans have suspected that the US government backed the attack, and no senior American official had ever before visited the cemetery in Gwangju. While serving as US ambassador to Macedonia in the 1990s, Hill found himself in the middle of a public assault on the US embassy following US air strikes in Yugoslavia. Unlike most overseas missions, the post in Macedonia did not have any Marine guards for protection. The protesters quickly overran the guard posts and began to use the embassy flagpole as a battering ram. When a top State Department official called Hill during the crisis to ask where his Marines were, Hill sardonically noted he didn't have any—but there were Marines at the embassy in Luxembourg. In early 2007, the Bush administration stunned the world when it announced a deal had been reached with North Korea over its nuclear weapons program. The deal meant North Korea would shut its main nuclear reactor in exchange for normalized relations with the US and Japan… substantial amounts of foreign aid for the beleaguered country. The point man for talks with North Korea was Christopher Hill, the State Department’s head of the East Asian and Pacific Bureau. But shortly after the deal was announced, the plan came under criticism from both ends of the political spectrum. From the right, hardliners argued that the United States should have held out until North Korea agreed to fully declare and dismantle its entire nuclear program. From the left, Democrats argued that the deal was no better than one they said the United States could have gotten four years ago, before North Korea tested a nuclear bomb. Under the pact, North Korea agreed to freeze its production of plutonium at its five-megawatt nuclear facility in Yongbyon and allow international inspectors to monitor and verify its compliance. In return, the United States, China, South Korea and Russia agreed to provide North Korea with food and fuel aid. Pact With North Korea Draws Fire From a Wide Range of Critics in U.S. The Social Security Administration has taken Cambodia off the ban list for benefits, no thanks to Anita Allegra former head of Consular Affairs at the Phnom Penh embassy. It seems Mrs. Allegra has disappeared. Hopefully the State Dept has buried her in a basement office in Lower Kraplanastan. President Obama has chosen a career diplomat with extensive experience with East Asia, and Japan in particular, to serve as the next Assistant Secretary of State for East Asian and Pacific Affairs. Nominated on May 15, Daniel R. Russel has served on the National Security Council at the White House since 2009. If confirmed by the Senate, Russel will succeed Kurt Campbell, who had the job from the beginning of the Obama administration. This led Russel to join the Foreign Service in 1985. Not surprisingly, he was posted to Tokyo, where he served as assistant to Ambassador and former Senate Majority Leader Mike Mansfield until 1987. From 1987 to 1989, he served as vice consul in Osaka, and subsequently as branch office manager in Nagoya, Japan. From 1989 to 1992, Russel worked at the United Nations in New York as political adviser to the U.S. permanent representative, Thomas Pickering, and was accredited to the Security Council. Back in Asia, Russel served as political officer at the embassy in Seoul, South Korea, from 1992 to 1995, participating in the nuclear talks with North Korea that led to the Framework Agreement in 1994. Spending the next several years stateside, Russel served as special assistant to the Under Secretary of State for Political Affairs, responsible for Asian affairs and international organizations, from 1995 to 1996. Awarded a State Department Una Chapman Cox Fellowship for 1996, Russel took a sabbatical and wrote a book, America’s Place in the World, published by Georgetown University Press. He then went back to work for Thomas Pickering, serving as his chief of staff when Pickering was under secretary of state for Political Affairs from 1997 to 1999. 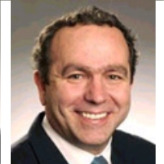 Russel then served three straight overseas postings, as deputy chief of mission at the embassy in Nicosia, Cyprus, from 1999 to 2002, as deputy chief of mission at the embassy in The Hague, Netherlands, from 2002 to 2005, and as U.S. consul general in Osaka-Kobe, Japan, from August 2005 to August 2008. Back in Washington, Russel worked as director of the State Department Office of Japanese Affairs from August 2008 to January 2009. He then took a job with the Obama administration, serving as director for Japan, South Korea and North Korea at the National Security Council from January 2009 to 2011 and as special assistant to the president and senior director for Asian Affairs since then. He is married to Keiko Abo Russel and has three children: Emily, Byron and Kevin. United States policy toward the troubled and perilous region of East Asia–home of volatile conflicts between North and South Korea, China and Taiwan, and the military junta of Burma and its own people–is now the province of a highly esteemed academic and international relations specialist, Dr. Kurt Campbell. Campbell was confirmed by the Senate on June 26, 2009, as the new Assistant Secretary of State for East Asian and Pacific Affairs. Perhaps a harbinger of political conflicts to come, conservative Republican Kansas Senator Sam Brownback had put a hold on Campbell’s nomination as a way to press the Obama administration to consider imposing more restrictive economic sanctions on the military dictatorship ruling Burma (also called Myanmar). Born in 1957, Campbell earned a B.A. in Science, Technology, and Public Affairs from the University of California, San Diego, a certificate in music and political philosophy from the University of Yerevan in Soviet Armenia, and a doctorate in international relations from Oxford University in 1985. As an officer in the U.S. Navy, Campbell served as an assistant on the Joint Chiefs of Staff, and between 1987 and 1995 as a reserve naval officer in a special Chief of Naval Operations advisory unit in the Pentagon. Early in his career, he worked as a stringer for The New York Times Magazine in southern Africa. In his academic career, Campbell has been an Olin Fellow at the Russian Research Center at Harvard University, a Lecturer in International Relations at Brown University, and, from 1988 to 1993, he was associate professor of public policy and international relations at the John F. Kennedy School of Government and Assistant Director of the Belfer Center for Science and International Affairs, both at Harvard University. Campbell is the author or co-author of numerous books, including Difficult Transitions: Why Presidents Fail in Foreign Policy at the Outset of Power; Hard Power: The New Politics of National Security; and To Prevail: An American Strategy for the Campaign against Terrorism. He is the editor of Climatic Cataclysm: The Foreign Policy and National Security Implications of Climate Change and Nuclear Tipping Point. He has also written numerous scholarly articles and opinion pieces on a wide range of international subjects. Campbell has been a member of a number of think tanks, including the International Institute for Strategic Studies in London, the Council on Foreign Relations and the Wasatch Group. He has also been a consultant to the Rockefeller Foundation. In the early and mid 2000s, he served as Senior Vice President, Director of the International Security Program, and Henry A. Kissinger Chair in National Security Policy at the Center for Strategic and International Studies. From January 2007 through June 2009, Campbell was the Co-Founder and Chief Executive Officer of the centrist-Democratic Center for a New American Security. He concurrently served as Director of the Aspen Strategy Group and the Chairman of the Editorial Board of the Washington Quarterly, and is the Founder and Principal of StratAsia, a strategic advisory company focused on Asia, especially Japan. Campbell served in several capacities in government during the Clinton administration, including as Deputy Assistant Secretary of Defense for Asia and the Pacific, Director on the National Security Council Staff, Deputy Special Counselor to the President for the North American Free Trade Agreement (NAFTA), and as a White House fellow at the Department of the Treasury. A Democrat, Campbell was Hillary Clinton’s chief adviser on Asian affairs during her campaign for the presidency in 2008. Since 2004, he has contributed more than $28,000 to Democratic candidates and causes, including $6,900 to Hillary Clinton’s presidential campaign, followed by $4,600 to Barack Obama’s presidential campaign after the former’s withdrawal from the Democratic nomination contest. He had previously donated $4,100 to Senator Clinton’s 2006 re-election campaign. Campbell is a member of the advisory boards of Aegis Capital Corporation, Civitas Group, STS Systems, PLC, the O’Gara Group, New Media Strategies, and the Woods Hole Oceanographic Institution. He is on the board of the US-Australian Leadership Dialogue, the Advisory Committee of the International Relations Program at the College of William and Mary, and the policy advisory board of the Asia Society. Campbell is married to Under Secretary of Treasury for International Affairs nominee Lael Brainard, and they have three daughters.